Let’s say you were invited to take part in an interview that would blast your story, voice, and FACE all over the internet. Would you be excited or terrified? I was terrified. When Lauren Joyce invited me to participate in her Feminine Super Power Video Summit with 12 women leaders from across the globe to demystify the subject of feminine energy, I almost said NO. I could have waited until I was ready. I could have waited until I felt like an expert. But does our mind ever think we’re ready to step into the light? No way. So I said YES, regardless of the fearful thoughts that told me it wasn’t a good idea. So here it is! I share my thoughts on feminine energy in business and the many unorthodox ways I connect to my power so my business can be fun, pleasurable, and effective. I also share the very reason I became a business coach in the first place. 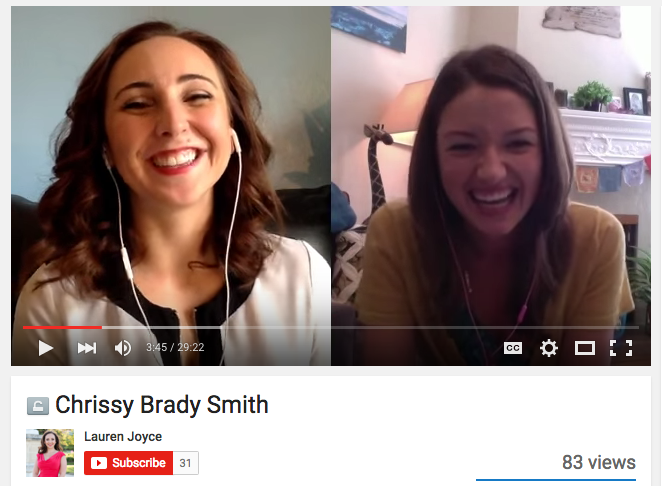 Click the image below to watch my interview with the beautiful Lauren Joyce. This interview connected me back to WHY I do the work that I do, something I invite every single one of you to remember for your own journey as well. So let me ask you, WHY are you doing the work that you’re doing? If you’re a coach, why did you become a coach in the first place? Let your WHY bring you home. P.S. My one on one coaching program is still open! Ready to build your coaching business? Find out if Emerge is right for you.